Properly aligning every axle on an automobile prevents abnormal wear and tear on the tires. Necessary preventative maintenance ensures longevity. A similar example occurs within the human spine. 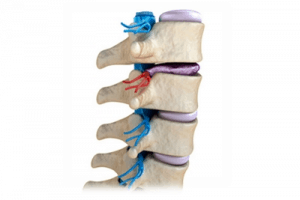 The pads between each spinal bone consist of soft tissue and abnormal alignment translates into additional wear. The pads (intervertebral discs) consist of cartilage and water. Water makes up 70% of the discs between each bone to create mobility and cushion. The combination of soft cartilage tissue and water requires proper alignment in order to sustain durability and long-term mobility. Research shows that abnormal postural and spinal alignment increase the risk and progression of spinal degeneration. A study from 2017 showed that asymmetrical distribution of loads on the spine caused greater rates of joint and disc degeneration. Chiropractic adjustments improve the alignment and movement of the spine while decreasing the risk and progression of spinal joint and disc degeneration. Adjustments improve the alignment and movement of the spine. The spine’s intimate connection with the central nervous system allows each adjustment to improve the brain’s ability to receive and send appropriate messages to all organs, cells, and tissues. Not only do people of all ages experience pain relief, greater mobility, and the prevention of spinal joint degeneration, in addition, many achieve increased levels of health and wellness by getting adjusted on a regular basis. Low back pain will affect more than eighty percent of people at some point in their lives. More than fifty percent of adults over the age of 55 have disc degeneration. Many of these people experienced no signs or symptoms of pain or discomfort until well after advanced degeneration compromised their overall health. These numbers stress the importance of implementing Chiropractic adjustments as part of any health care plan. Chiropractic promotes overall wellness within the body and serves every member of the family, not just those who are experiencing pain and discomfort. Research continues to show the positive influence that one single session of Chiropractic exhibits on brain function. 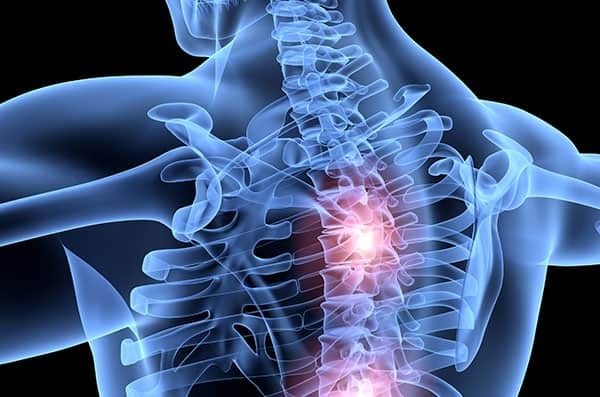 Improving spinal mobility, maximizing the health of all organs, and lowering the risk of spinal degeneration represent just a few of the health benefits which come from regular nervous system care. Many doctors and healthcare practitioners across the globe continue to endorse and recommend Chiropractic to their patients. Fully understanding and promoting true health care means recognizing the value of pain and drug free options which promote overall wellness and natural healing within the body. Overwhelming research and scientific evidence prove that Chiropractic produces exceptional results in every family’s pursuit of optimal health. Asian J Neurosurg. 2017 Apr-Jun;12(2):199-202. Neglected knowledge: Asymmetric features of lumbar disc disease.